NB. 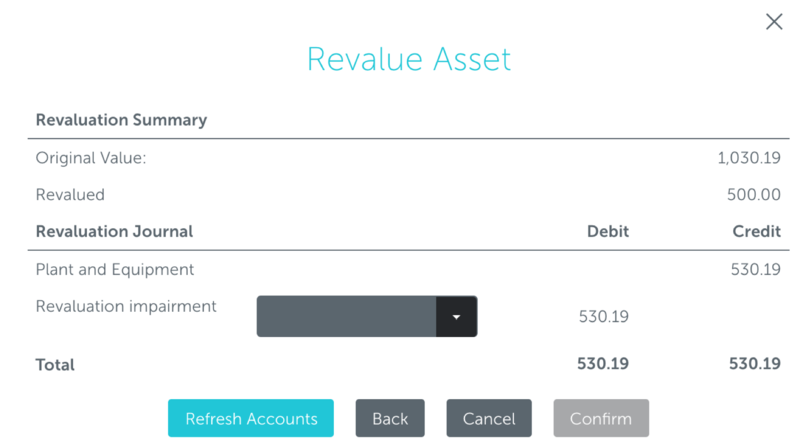 If you are connected to Xero or QuickBooks Online, you may choose whether you would like the related journals for the revaluation to be posted into your accounting package by ticking or unticking the checkbox at the bottom of the image provided above. If you choose to post the journals through Asset.Guru, continue to Step 7. 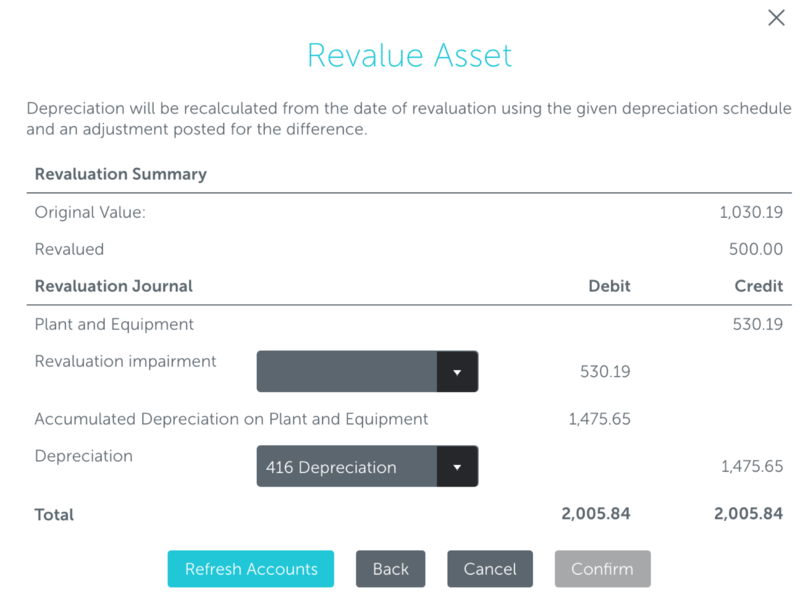 You will be shown the revaluation journal entries to be posted by Asset.Guru into your accounting system. A dropdown menu that lists your chart of accounts will be provided for any journal entries that have not been mapped during the asset type setup. Please reviw the journals provided on the screen and click Confirm when you are done. If your revaluation occurs in the current month (before monthly depreciation has been posted), there will be no impact on depreciation, as this will be reflected in the monthly depreciation posting. 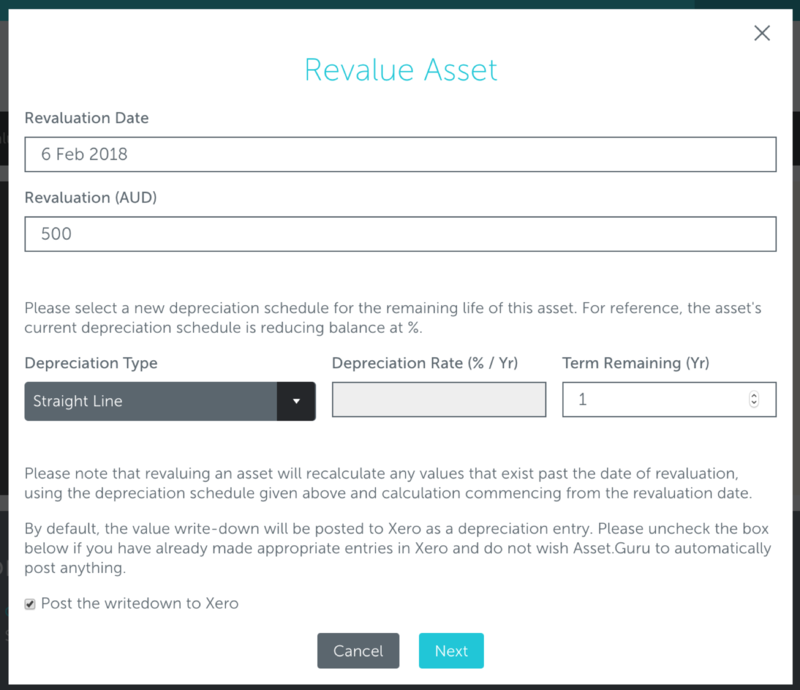 If the revaluation date is at a historical date (not within the current month), then there will be an additional adjustment for the depreciation expense associated with the asset.